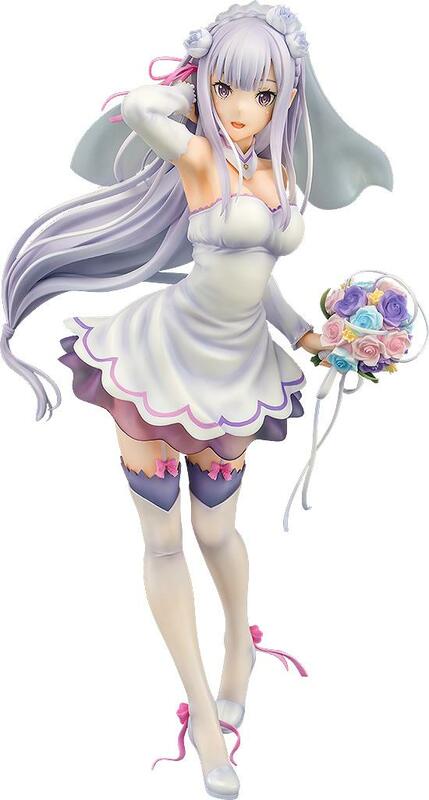 Re:ZERO -Starting Life in Another World- Emilia Wedding Ver. From the popular anime series "Re:ZERO -Starting Life in Another World-" comes a 1/7th scale figure of the half-elf main heroine Emilia! She has been sculpted wearing a wedding outfit that matches beautifully with the previously released Rem: Wedding Ver. and Ram: Wedding Ver.! Her beautiful dress emphasizes her pure appearance and blissful expression. Be sure to add her to your collection! Preorders for factory boxes of 10 figures are welcome to ship in late November 2019. Japanese Title: Re:ゼロから始める異世界生活 エミリア ウェディングVer.